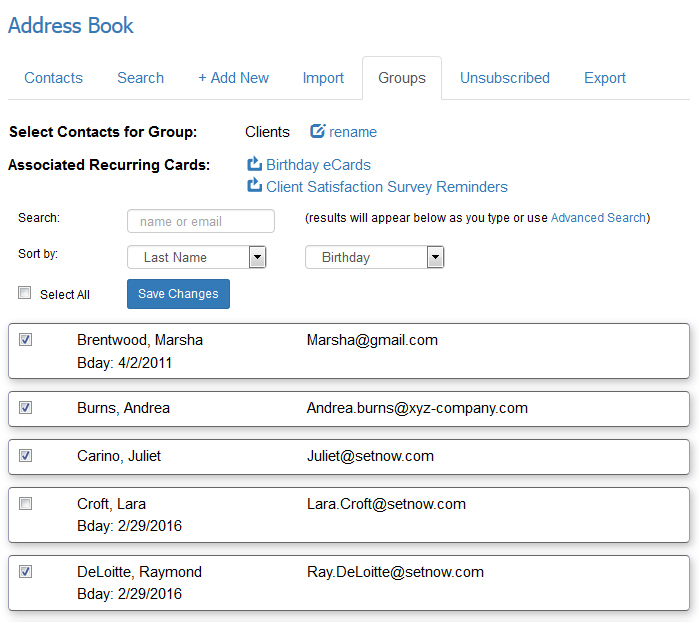 Creating groups enables you to quickly send an eCard, invitation or survey to a group of contacts. If you want to use our recurring eCards feature, you must first create a group of contacts that the recurring eCard series will go to. 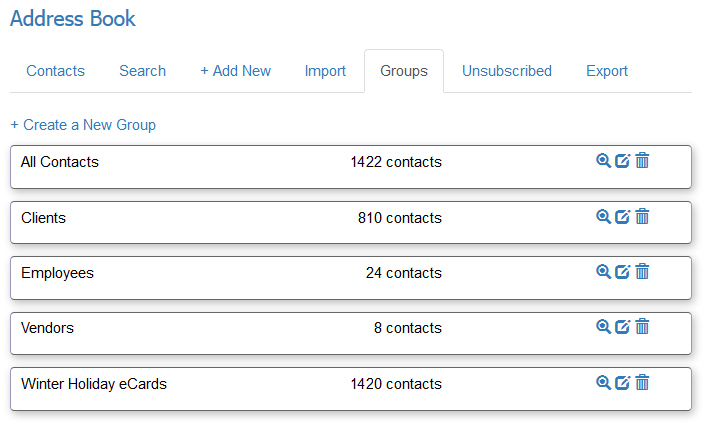 The following tutorial covers how to create and manage groups of contacts. If you need instructions for how to send your eCard, invitation or survey to a group, view our Address and Schedule Your eCard tutorial. Go to My Account > Address Book in the navigation and click the 'Groups' tab (see example). Click the '+ Create a New Group' icon. 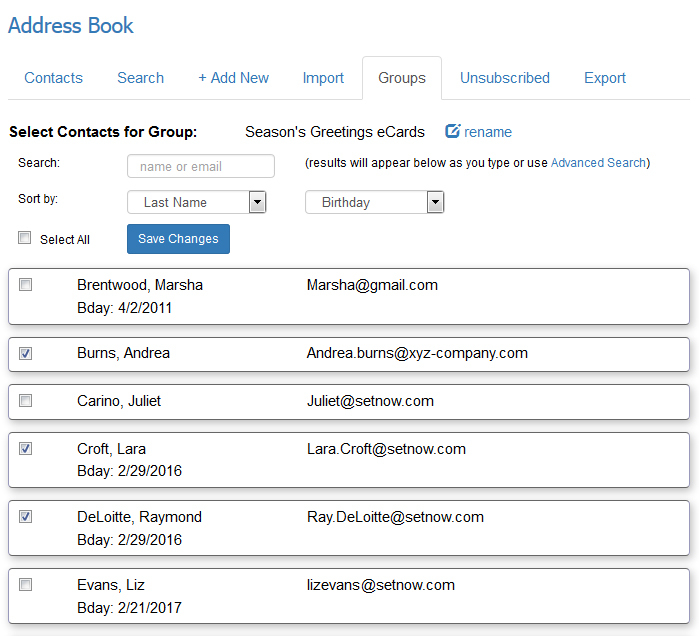 Enter the group name (such as clients, vendors or holiday cards) so you can easily identify this group of people when sending an eCard, invitation or survey. Search by name or email or use the advanced search to see more search options. You can also sort your contacts by First Name, Last Name or Email and select to see your contact's birthday, category, company and more by clicking on the drop down menu. Check the boxes next to the people you want to add to your group and click the "save changes" button. You can place all contacts on a page by checking the "Select all" box at the top of the screen and click the "save changes" button. Important: After selecting contacts on a page, make sure you save your changes before continuing to the next page. To remove contacts, de-select the checkbox next to the person's name. Once you are finished, click the 'Save Changes' button. Sort contacts and show a contact's birthday, anniversary, company etc.